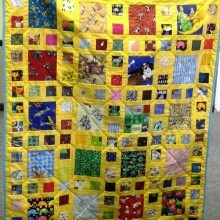 Cardiff Quilters has made various things for charities over many years. 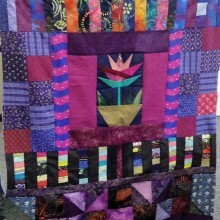 We have made quilts for the charity to raffle , Women’s Aid used some of the quilts to decorate their rooms. 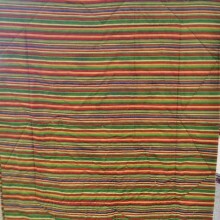 We have made bags used for chemotherapy for both adults and children, dresses made from a pillow case for a charity in Africa. 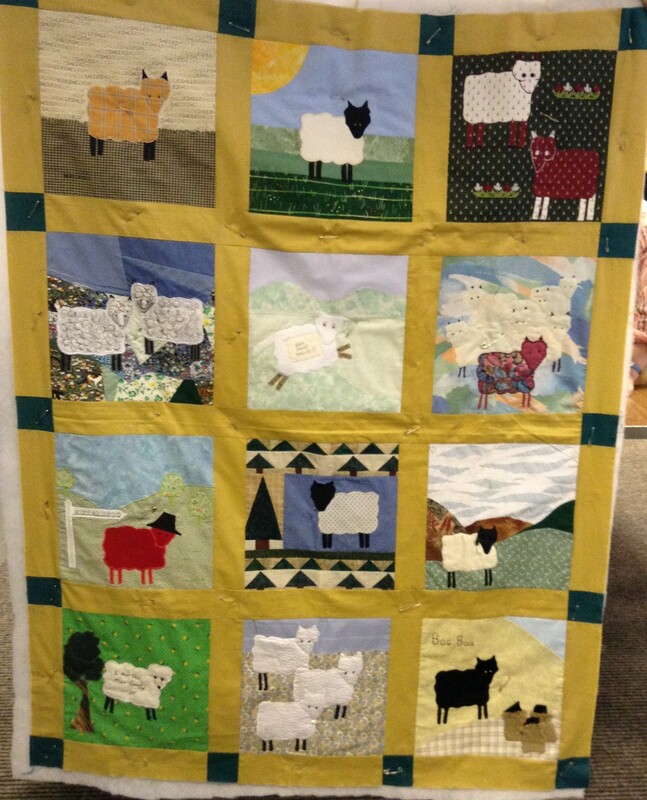 Our latest sheep quilt went to Bobath to be raffled you may be interested to know a bit about the charity and the condition Cerebral palsy. 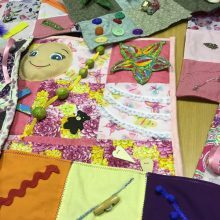 Bobath Children’s Therapy Centre Wales is a registered charity that provides specialist therapy to children throughout Wales who have cerebral palsy. Bobath Children’s Therapy Centre Wales provides specialist physiotherapy, occupational therapy and speech and language therapy. 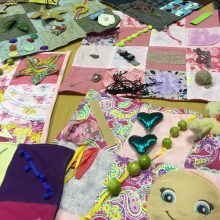 Bobath therapists are state-registered and work together as a team to combine these disciplines to give each child the skills to explore their world, communicate their needs, maximise their potential and so improve their quality of life. Cerebral palsy is a permanent disorder of posture and movement resulting from brain damage occurring in the baby or young child. Cerebral palsy is the name given to a group of conditions that occur before, during, or in the first two years after birth. These conditions result from damage to the brain. The damage affects the messages being both received by and sent from the brain, and the way in which the brain interprets the information it receives. Among the functions that cerebral palsy can affect are movement, sensation, perception, cognition, communication, and eating and drinking. In some children, all of these functions are affected, but other children may only have one of these problems. Cerebral palsy can be caused by many things, which result in either a bleed in the brain (haemorrhage) or lack of oxygen to the brain (anoxia). 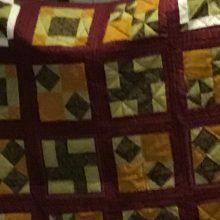 These include: prematurity, infections (such as meningitis), traumatic birth, problems in utero (in the womb), head injuries (including non-accidental injuries), near-drowning and strokes. No, because the damage to the brain is irreparable but therapy can encourage the brain to develop alternative pathways. 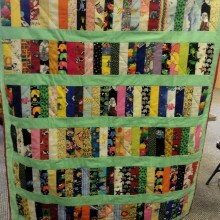 While there is no cure, therapy can help children and their families manage the problems that cerebral palsy presents. 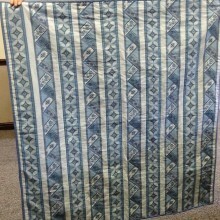 This can change the clinical presentation (symptoms) of the condition. 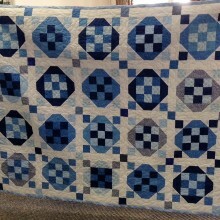 This beautiful quilt was made by a lady who is at present due to illness unable to finish it. 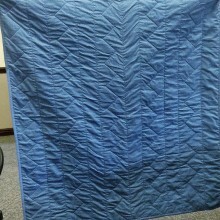 Her son had it ling arm quilted and it just needed binding around the edge, so in a joint effort by some of the members it was finished. 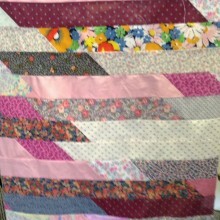 This is a jelly roll race that was made and will make a colorful quilt when finished. 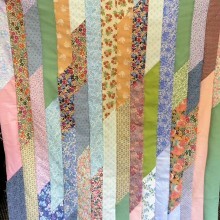 Jelly roll race is a quick method of createing a quick quilt top that lots of people can be involved in. 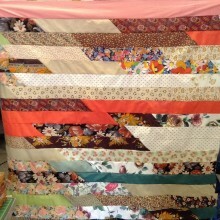 Yet another jelly roll race quilt top. 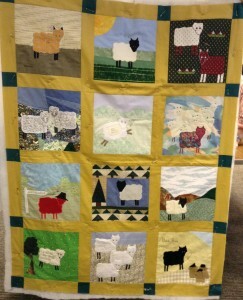 Our second April meeting some of the finished Charity Quilts and one still in progress 2017.